It’s baack with a bang! The Tullamore Show & AIB National Livestock Show on Sunday 10th August, is the place the country’s top sheep shearers will flock to, in order to compete in, and demonstrate hand shearing and machine shearing skills in the various ovine classes. Competitors from all over Ireland and the UK are expected to attend, including captain of the Irish Shearing Team, Donegal man Ivan Scott, who has spent almost half his life shearing and travelling the globe. 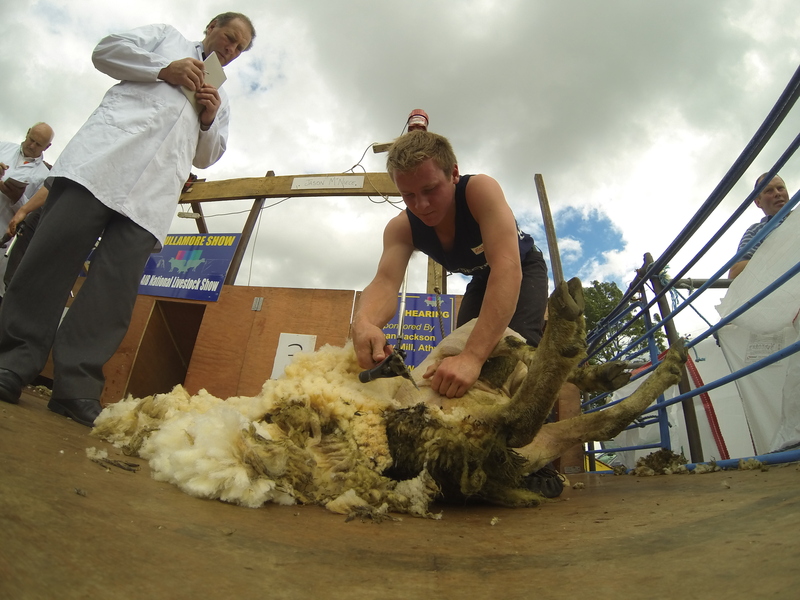 Ivan achieved his world record title shearing 736 sheep in 2008 and 744 in 2011. The training process is hard work and involves a full body workout. Ivan is in demand around the world for his shearing skills, “There are about 10 countries in the world where I can go and basically get a job right away; right now I’m splitting my time between Ireland, New Zealand and Switzerland.” Thirteen time all-Ireland shearing champion Pat Corrigan will also be in attendance on the day, instructing punters in hand shearing using the ‘jacket and trousers method’. Finally, Seamus Dooley, a leading wool merchant, will explain how farmers should store wool correctly. Competitions have been continued on this year for young people, who wish to compete for the Junior Sheep Stockperson of the AIB National Livestock Show. Competitions classes include Confined Sheep Shearing, heats for Blade Shearing, heats for the Junior Machine classes as well as Open class Machine Shearing. The sheep section of the Tullamore Show & AIB National Livestock Show includes 73 pedigree and 9 commercial classes, covering the Texel, Vendeen, Suffolk, Charollais, Rouge De L’Ouest, Galway, Beltex, Welsh Lleyn, Jacob, Belclare, Zwartbles, and Border Leicester breeds. Always a popular and interesting area, activities in the Sheepdog Trials Arena include demonstrations by Eamon Egan of Teagasc Roscommon, on the skills involved in training a farm dog. In the Sheep Dog Trials arena both the speed and the skill of the handler and the dog are tested. It is run in an enclosed arena, measured 60 x 120 yds. The handler must complete, without error, a prescribed course against the clock. This course consists of driving four sheep in a figure of 8 around two barrels, twice through a Maltese Cross and into a small pen, without penalties, in the fastest time. On the 10th of August, the country’s top sheep shearers will flock to the Tullamore Show to participate in the hand shearing and machine shearing classes. Competitors from all over Ireland and the UK are expected to attend, including world champion Donegal man Ivan Scott. The 13 time all-Ireland shearing champion Pat Corrigan will instruct punters in hand shearing using the ‘jacket and trousers method’. Finally, Seamus Dooley, a leading wool merchant, will explain how farmers should store wool correctly. 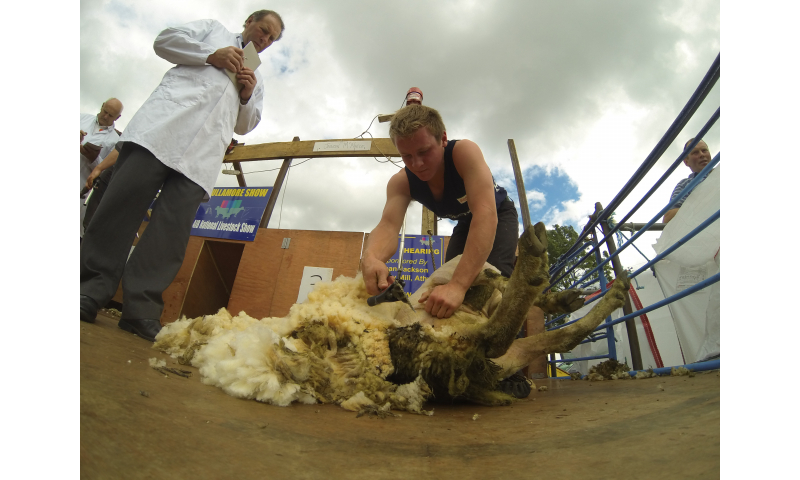 Activities include a sheep shearing demonstration and classes include: Confined Sheep Shearing, heats for Blade Shearing, heats for the Junior Machine classes, as well as Open Class Machine Shearing.